A cochlear implant is an electronic medical device that replaces the function of the damaged inner ear. 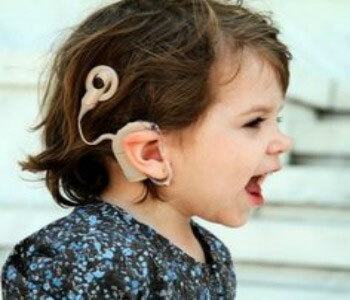 They are designed to provide hearing to those with profound deafness. Part of the device is surgically implanted into the inner ear and part is worn externally. 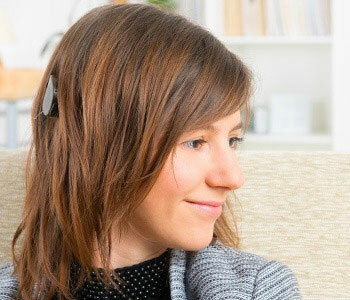 As a prosthetic device, the cochlear implant stimulates the auditory or hearing nerve directly, bypassing the damaged part of the inner ear or cochlea. Before receiving a cochlear implant, an extensive evaluation is performed that includes a hearing aid evaluation, an audiological evaluation, an otological evaluation, CT scan, a speech-language evaluation, and possibly a psychological evaluation. These tests are performed to ensure that candidacy requirements have been met and that certain benefits may be provided by the implant. Counseling will also be provided by the cochlear implant team regarding the benefits and risks of cochlear implantation. A long time client of ours Lorna Sawatsky was involved in a project with Sunnybrook Hospital. Yamaha teamed up with their cochlear implant department to produce a video about music and hearing (or lack of it). Apply Online for Fast, Easy and Secure Payment Plans! It’s never been more affordable to improve your hearing health! With our new online finance application process, you could get a lower payment by choosing the number of months you would like to have to pay off your hearing aid. Simply apply online from the privacy of your own home, and know if you’re pre-approved in minutes!